This is it! 2019 is almost here. It’s time to clear your lot and get digitally organized. 2018 is quickly coming to a close, and year-end is in full effect. You’re running around like a maniac, trying to get old units off the lot to make room for the new inventory. Marketing messages flash before you in your dreams (or nightmares); Year end close out! Sales Blitz! Best time of the year to buy! Savings are here now! For the customer, it is a great time of year to buy. For car dealers, it can be exciting and stressful at the same time. But, don’t get caught up and forget to tee yourself up for success after the rush is over. Avoid the holiday sale hangover. Now is a key time to reflect and strategize on what went well in your digital marketing strategy and what didn’t. 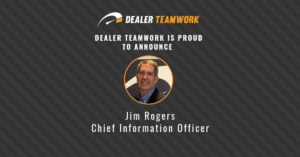 It is essential that you streamline your game plan coming into 2019 and prep your dealership for success. It’s now or never, so get a jumpstart on your competition! Here are some steps to ensure you will be ahead of the curve and not behind it. Log into your Google Analytics account and roll up your sleeves! It’s time to assess your website analytics. A good place to start is moving down the left-hand column. Begin with “Real Time”, and follow the chain into “Audience”, “Acquisition”, “Behavior”, and “Conversions”. Click into each section and review each set of metrics. 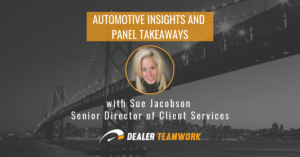 Ask yourself some key questions surrounding dealership performance and show floor traffic, and match that intel with both new and used sales numbers. Did you have any high points in the year? Which months did you hit your sales goals or exceed them? Were there major traffic spikes in certain time periods? Maybe you ran a sale and saw an increase during a holiday or somewhere other than the end of the month. What kinds of campaigns were running at that time? Compare year over year metrics. Are you ahead or behind of last year? How is time on site? Pages viewed? What traffic channels are performing the best? If looking at analytics isn’t your strong suit, or if you don’t have time to do it yourself, then ask your Marketing department or agency to review it for you and report back with their findings. In addition to reviewing analytics, auditing the dealership website itself is critical to success. Don’t try and do this alone. If you don’t have an agency working on auditing for you, create an internal committee and schedule a conference call once a month. Assign team members to a certain section in the navigation and make a shared document that can be updated with notes and findings. Check your landing pages! What kind of user experience are you giving your customers? If you have run digital marketing campaigns, where are these ads landing consumers? Does the content make sense? Are their shopping questions being answered? Would someone be satisfied with the advertisement matching the content they are clicking through to? Is there a significant call to action or reason for them to call or fill out a form? Crawl through your website content – have you refreshed it recently? Does your inventory have great merchandising and pictures (meaning 15+ photos or more)? Do you have competitive pricing? 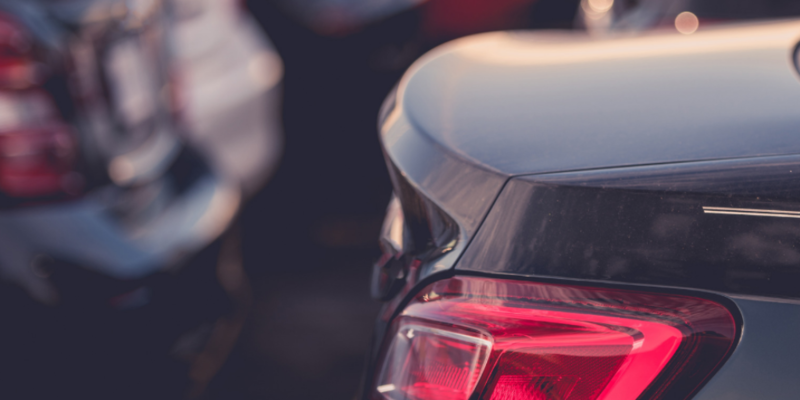 Is there a strong “why buy” on your dealership versus the competition? Free Wi-fi and a children’s play area won’t cut it anymore. Think outside of the box on what consumers will find beneficial to them – not you. Is it free car washes or oil changes for life? What makes you better than the rest? Is it your customer service? If yes, are there operations in place to maintain consistency in the process from start to finish? 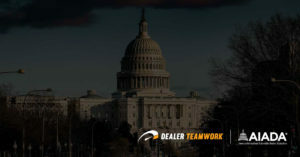 Website presence and monitoring Google Analytics are just the first couple of steps in setting your dealership up for digital marketing success in 2019. Another facet to consider is your CRM. This is the lifeblood in tracking sales and must be cleaned and maintained on a regular basis. If your CRM has not been scrubbed since installation, you might want to consider having it done. You can even hire vendors to clean and dedupe your CRM with a monthly investment. Bad data in is bad data out, especially from the marketing perspective. Cross-referencing your CRM with Google Analytics will also provide additional insight into the customer journey and which marketing campaigns are working. There are now over 20 digital touch points in a consumer’s buying cycle, so many of the marketing sources you have listed in your CRM may not be receiving full credit where credit is due. Have your SEO examined by a professional. There are a certain formula and finesse to optimizing this part of your business. Search engines rule this part of the internet and are constantly updating their criteria for success. Effort should be put into making sure your dealership ranks, that content can be crawled by search engines, and that keywords, verbiage, and content are formulated for a user’s search intent. Tags, UTMs and URLs should also be evaluated. Are your URLs crawlable and accessible for search engines? Have you put the backend work into keyword research and do you have primary, secondary and related keyword strategies in place? Have you implemented rich snippets and schema to enhance content? Also, have you optimized your pages with SEO for speed? Customers will bounce if the page load time is too slow. Welcome to the era of instant gratification. In addition to SEO, take a look at your paid search campaigns and paid search metrics. What do your text and display ads say? Is the content still relevant to your goals moving forward? Refresh your ad content, call outs and extensions. Is the copy fresh or does it need to be rewritten? Analyze your Call To Actions (CTAs) and ensure they make the best business sense. Review your A & B tests. Which ad copy is performing the best and should budget be allocated or shifted to maximize ROI? Where are customers landing and does it make the most sense? Is it a good user experience? Don’t skip reviewing your Social Media and make sure you are maintaining the platforms you use on a regular basis. Facebook, Twitter, and Instagram all serve a purpose in the automotive digital marketing line up. It’s not enough to post infrequently or use a “set it and forget it” mentality. 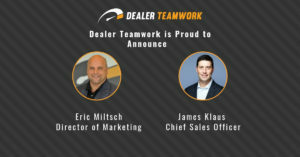 Dependent upon the platform, you want to be building your dealership’s reputation with reviews, culture content, special offers, and communicating with your followers while at the same time working to gain more. According to a marketwatch.com article from August 2018 sourcing recent Nielsen reports, audiences have shifted to more digital than ever before. In fact, consumers are spending an average of 11 hours per day in front of the screen. Other questions to ask include: Do you have a video campaign? Is there enough video content on your website? These last two questions are important because YouTube (owned by Google) is the second largest search engine behind Google. If you aren’t paying attention to this space and how many consumers are spending time there, you should be. So, welcome to 2019! Some might find it challenging and overwhelming with digital marketing changing all of the time, but on the flip-side, one could view the glass as half full. The true beauty of digital marketing is that you can adjust and make changes fast enough to roll with it. This article is not supposed to intimidate or paralyze the dealership with a million things to do. These digital marketing items can be tackled one at a time. There is no downfall to dipping your toes in the water before you fully commit to all strategies. But, these are some important categories and key questions to ask yourself before going into 2019. Positioning yourself to succeed will ultimately bring in more leads and sales, so embrace it.